Introductions are in order because we’d like to get to know you and have you get to know us and our gang of friends who enhance the distinct look and feel of ArtieArt cards and gifts. Artie was a much loved, canine family member who inspired much of what we did, felt, thought and responded to in life. It seemed natural that he would be the inspiration for a line of special cards that combines fun with sentiment, and feature greetings that always express situations and intentions perfectly! Browse our full and growing line of greetings and more. 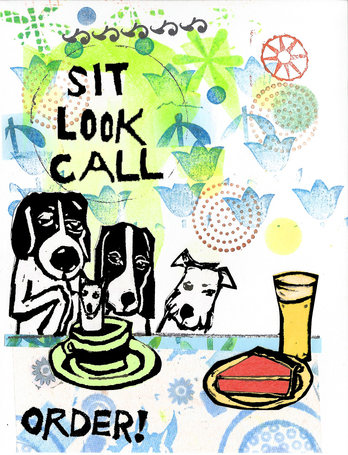 Each features on target expressions, fun sayings, lots of color, hand cut stamp art and collage. Artie Art cards always get rave reviews. They have been named Best in Show and will always rate TOPS in our Hearts. Order many. That would make Artie very happy...and us too!